The latest buzzword of business 'corporate social responsibility' or CSR is the corporate world's attempt to show that they are not just cut-throat profit seekers but are conscious about their role as benefactors of society. Philanthropic and altruistic activities through foundations have constituted the bulk of these endeavours with each corporate body having their own recipe for CSR. Giving scholarships to the poor and meritorious, providing jobs, building schools, funding cataract operations and having significant job quotas for the disabled -these are some CSR activities that get quite a bit of attention in the media. But a new tide of thinking is sweeping the world, changing the whole concept of what social responsibility of business is. Now the definition encompasses the very approach to business – whether it is in its entirety a sustainable, ethical one. In other words whether it is responsible in terms of social, environmental and economic impact. Predictably, not many business organisations have welcomed such concepts with open arms as it may mean major re-structuring and re-thinking the entire business strategy and culture. Will it cut profits? This is no doubt, the major concern for all businesses. But being a socially responsible business, its advocates argue, will ultimately ensure long-term profits and sustainability which is always what any business aspires for. The question, however, is how do we come up with a unified set of principles to define corporate social responsibility, rules that all businesses will and can comply with and are acceptable in a particular country's context? 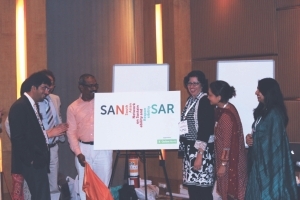 At a recent seminar in Bangaluru (erstwhile Bangalore) these very issues were discussed while launching of a network called SANSAR which stands for South Asian Network on Sustainability and Responsibility. It is a network of corporates, NGOs, trade unions, government etc –all stakeholders of business. The idea is to create partnerships that will help to incorporate the principles of CSR through sharing information, research and other activities in order to make businesses more conscious of their role in sustaining a people-oriented, environmentally sound society. The most intriguing part of SANSAR is that it aims to bring entities that are often at loggerheads with each other, to work as a team for a greater cause. Viraf Mehta, Director of Prakruthi's Corporate Responsibility Initiative, a social anthropologist and a crusader of the CSR concept, explained that the first challenge has been to come up with a definition of the concept that is universally accepted. “We have to decide what it means…and only government can decide.” He referred to the National Guidelines on social, environmental and economic responsibilities of business as stipulated by the Indian government. The guidelines have been formulated with the help of experts like Mehta and apply to all corporations, large and small. One of the ways to make companies adher to the national guidelines was to incorporate with financial accounting, an integrated report with social and environmental components. The threat of becoming 'de-listed' from government registration could be another way to ensure that the guidelines will be followed. 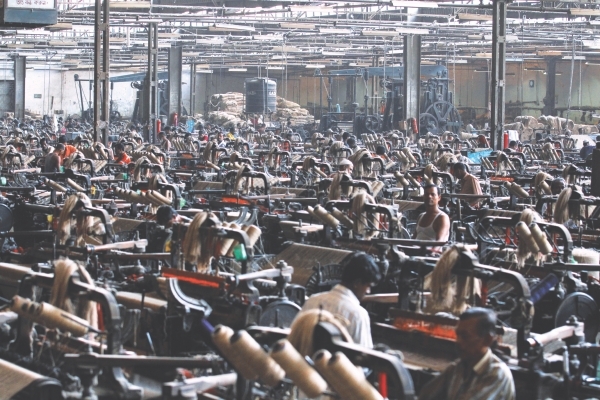 Along with the national guidelines which, said Mehta, many big businesses in India have accepted, the UN has also stated that a human rights component has to be included in business. Human rights, said Mehta, was the only universal component in all countries. “People do not want charity,” he said, “They want companies to be involved in developing their communities on a rights-based approach. The state has a duty to protect us citizens from any entity that violates our rights.” Theae efforts, said Mehta, could be introduced in other South Asian Countries. The seminar launched three interesting studies published by Prakruthi, an international NGO and main organiser of the seminar – CSR and its challenges in the sugar industries of Bangladesh and Pakistan and India. Sugar, according to the Bangladeshi study conducted by the CSR Centre Bangladesh, has a demand of about 1.95 million tons per year but it produces 0.08 million tons and imports 1.3 million tons, mainly from India. The gap is filled by sugar produced in the handful of refineries and gur (jaggery) producers. The sugar industries in Bangladesh which are government-run and running at a loss, says the research, are plagued with a variety of problems–inefficient management, out-dated technology, mismatched demand and supply of raw materials, low recovery rate of cane type used in the mills, production below capacity and so on. The sugar industry employs around five million people directly and indirectly and the product itself is of huge importance. The study provides suggestions that would help the industry earn profits, protect jobs and help farmers survive. The Pakistani research study looked closely at ways in which production technologies could be improved in order to avoid the adverse environmental effects such as soil salinity, use of excessive water, pollution from by products and fertilisers. Experts at the seminar talked about similar problems in the sugar cane industry in India and ways in which better processes could be introduced. Prakruthi has been working with other organisations on how to promote sustainable tea, coffee, sugarcane production and garments manufacturing in South India. Pramod John, Executive Director of Prakruthi, says that one of its major efforts have been to ensure sustainability certificates for farmers which has huge long term impacts – improved productivity, quality, better prices (for farmers) and access to markets. “Now a lot of companies want to know how to strategise CSR so that it works for people,” Pramod commented. The sheer diversity of speakers at the conference representing NGOs, educational institutes, corporate foundations, fair trade proponents and CSR advocates who had formerly worked for international brands, indicated that this was a clever exercise to get people from different sectors and countries to share experiences and knowledge that would ultimately veer towards a common goal: to make business more responsible. "The ASEAN has already set up organisations for human rights in business...So SANSAR will take lessons from other groups and countries" said Mehta, indicating the wide reach this network has potential for. In fact, Sansar is already creating a link with the Saarc secretariat in Nepal. CEO of CSR Centre, Bangladesh, Shahamin S Zaman, who presented the country's research study on sugar, pointed out that any country's progress depended on its growing economy, but at the same time businesses should have an ethical value system. The concept of social responsibility in business, argued participants at the conference, has to be ingrained in young people who will later become part of the corporate world. Many business schools have already included CSR as part of the curriculum and this can be followed by other institutions in the region. Despite such optimistic thoughts, the reality is that in countries in the South Asian region, the majority of businesses consider CSR to be an activity that is in addition to the business rather than a philosophy that underlies all business strategies. The SANSAR network aims to change this by creating partnerships, spreading knowledge, sharing efficient technologies to help redefine the way business is carried out - in a way that is both sustainable and profitable as well as beneficial to society.